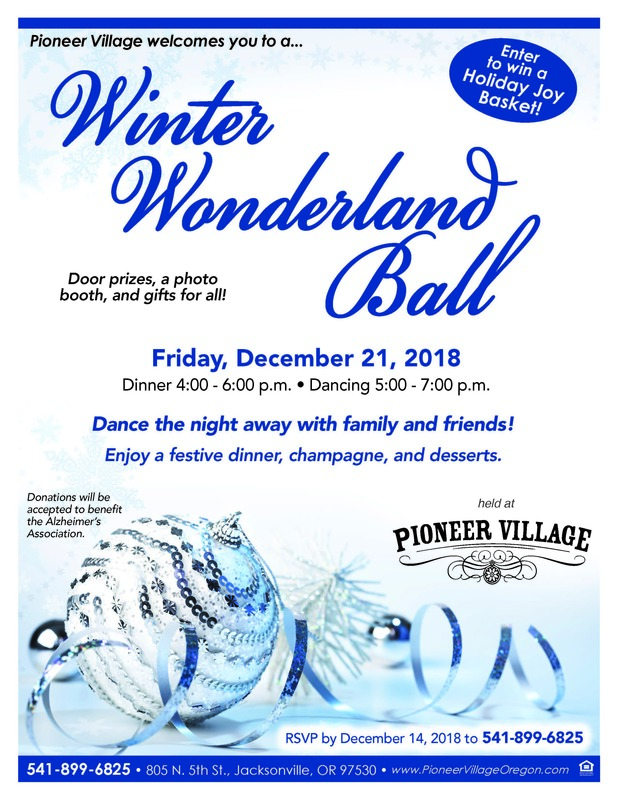 Winter Wonderland Ball at Pioneer Village. 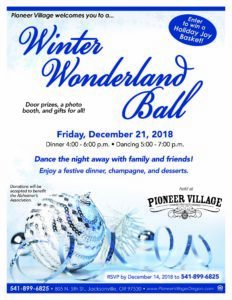 We’ll have door prizes, a photo booth, and gifts for all! Enter to win a Holiday Joy Basket! Donations will be accepted to benefit the Alzheimer’s Association.